Green Squad: Food for Neighbors in NeedShare food with others and decorate cool recycled bags! Granny Mo will tell you: good food from the garden tastes best when shared. Share the bounty by organizing a food drive close to home! And protect the green world, too—deliver your donations in reusable bags that you’ve decorated yourself. Before you get started, find out what your local food pantry is up to. Some need volunteers or money more than canned goods. 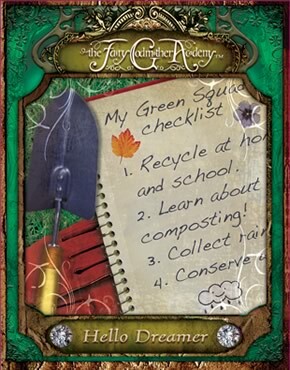 A few even encourage you to donate some of your garden harvest! Fairy godmothers aren’t effective unless we understand the true needs of those we are helping. So use your wisdom to give what’s needed! 1. Find the food pantry nearest you. If you live in the U.S., enter your zip code in Feeding America’s Food Bank Locator. Once you’ve found your nearest food bank or pantry, explore their website or give them a call. Find out all the ways you can get involved! 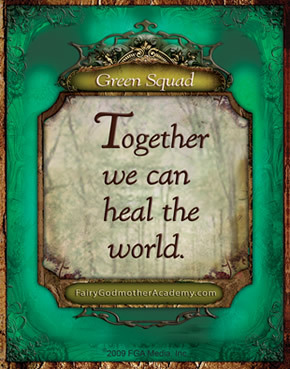 Together with your Green Squad members decide on the best way to act. If you want to start a food drive keep reading! 3. Make your food drive fun and fruitful! First, collect and decorate a bunch of canvas or paper bags with bright, green-world images. Next make a flyer that tells what you’re up to. Include what, when, and why you’re collecting as well as where you’ll donate. Some typical foods that pantries accept are canned veggies and fruit, pasta, beans, rice, peanut butter, baby food and formula. Some food banks even accept pet food! Attach the flyer to one side of each bag and deliver them on the doorsteps of friends and neighbors. Be sure to bring a parent along. Pick up the filled bags on the date you scheduled, then deliver them to your food pantry. Giving nutritious food away will definitely fill you up inside! 4. Tell Birdie about it! What did you end up doing to help your local food pantry? Did you have a food drive, donate from your garden, or help in some other way? This may get those service hours done. Watch out hunger! Here I come! this is so cool, i cant wait to try it!!! Lilium is right! I totally agree about the friendship thing! Really awesome! Lilium is right! I totally agree about the friendship thing! Does it count if I helped my dad deliver food bags for our church? These are really good suggestions. And I’ll add one more, but I’ll bet a lot of you readers are already doing it: whenever you help someone in need, do it with loving respect, and know that person may have just as much to give or teach you, each in his or her own way.